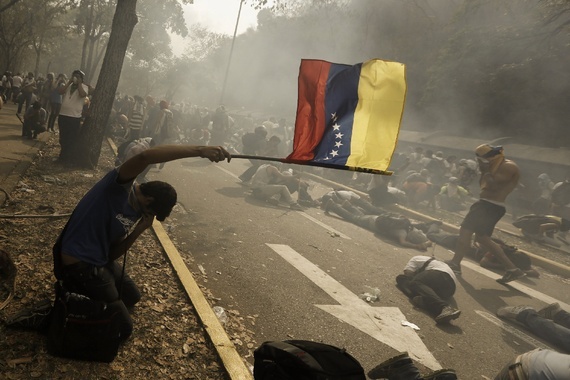 As a companion to yesterday’s Cuba post, we have this update from The Atlantic on Human Rights Watch (HRW’s) reports on brutal repression of Venezuelan demonstrations. Venezuela has been helping to prop up Cuba, but its mismanagement of the economy and demonization of opposition is degrading the government’s ability to survive. It’s another reminder that class-based demagoguery and repression result in making everyone poorer and less free. Venezuela’s massive oil reserves insulated it from reality for a decade, but the government so mismanaged the oil industry that many of its most valuable employees fled to Alberta to work the oil sands there, and Venezuelan oil production has been declining as the technologically knowledgeable depart or are kept from renovating the older fields.